a veritable shadow cage - love it!! Excellent shadows on the bottom of the - cage?? 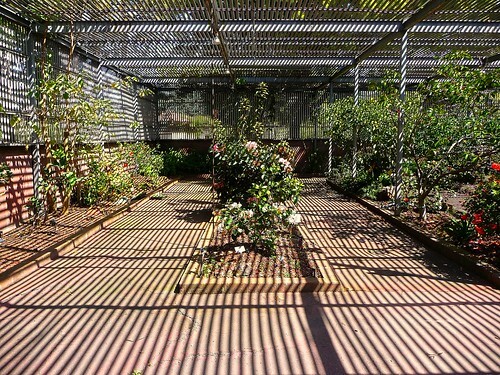 The fence and trellis add neat angular shadows to the naturally styled trees and flowering plants underneath. Nice! I like this shadow shot. Love it! Happy Sunday! It's almost psychedelic! I love the warmth it generates.